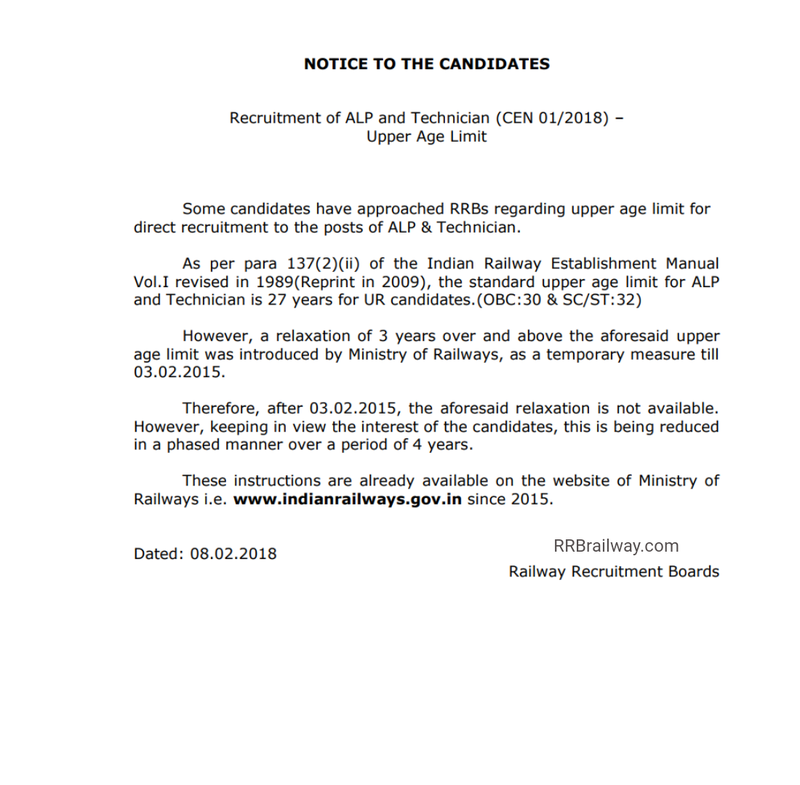 We are here with RRB Railway ALP Technician CEN 01/2018 Notice to the Candidates regarding Maximum Age Limit. Below is the snapshot and PDF of the official notice for download. Some candidates have approached RRBs regarding upper age limit for direct recruitment to the posts of ALP & Technician. However, a relaxation of 3 years over and above the aforesaid upper age limit was introduced by Ministry of Railways, as a temporary measure till 03.02.2015. Therefore, after 03.02.2015, the aforesaid relaxation is not available. However, keeping in view the interest of the candidates, this is being reduced in a phased manner over a period of 4 years. These instructions are already available on the website of Ministry of Railways i.e. www.indianrailways.gov.in since 2015.